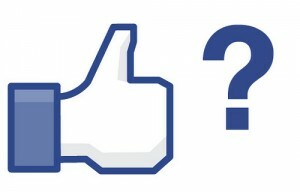 Have you ever had a sinking suspicion you were missing someone’s posts from your Facebook feed? Or maybe you notice a friend comment on a mutual friend’s post, and you realize it was the first time you were seeing the status update. Whatever the reason, you are not paranoid. You probably are missing updates in your feed. There are settings that allow you to manage what shows on your feed and from whom, but sometimes they get a little out of whack and cause problems like this. Luckily, there’s a pretty easy fix. First determine whose posts you’re missing. Unfortunately, there’s no real quick way to determine this so go with your gut – think of the people you know you don’t see posts from often. Then, go to their Facebook page. Look for the Friends button located at the top, to the right of the person’s name. Click on the Friends button, and make sure Show in News Feed has a check mark next to it. If not, select this option. Then, click on Settings, and select the type of updates you want to see from this individual. One way to avoid this problem is to check the user settings when you first friend someone. That way, you know that they are set correctly from the beginning, and you shouldn’t have to worry about it again (but you never know with Facebook, sometimes they change settings for the fun of it). Similarly, if you would like to block particular types of posts, like Game Notifications, from your feed, this is where you find the setting. You can also choose to not receive posts at all from a person, or even a Page. These settings are available to help you manage your feed, so that you only see only what you want to see in your feed, and nothing more. So next time you think you’re missing someone’s status updates, check their Friend settings. You might just be surprised how it’s setup. Julie Strier is a freelance writer who enjoys helping you have a better social media experience. Email: julie@mybusinesswriter.com. Website:www.mybusinesswriter.com.